Amazon's busy getting ready for their big New York City press conference this Wednesday, and we've got a little bit more info on the specifics of what we're expecting them to announce. Jeff Bezos' new Android-based tablet will be called "Kindle Fire" according to a TechCrunch report posted earlier today, and will be powered by a dual-core Texas Instruments OMAP chip on the inside and multiple media partnerships from the likes of Fox on the outside. Sporting a 7-inch display and an overall design reminiscent of the BlackBerry Playbook, Amazon's tablet will be shown off this week but won't ship until early November. Interestingly, GDGT says the Amazon tablet is actually based off of Playbook's design. Ryan Block claims sources told him that Amazon's internal "Lab 126" team opted out of working on a color tablet in favor of focusing on e-ink devices, so the company turned to Quanta for outsourcing. Having already built Playbook for RIM, the giant original design manufacturer – or ODM – basically took that as a template and went from there. Amazon, of course, didn't load Playbook's QNX operating system onto Kindle Fire, but instead built an uber-customized version of Android to power the tablet. Or so the stories go. Between beefing up their Prime Instant Video offerings with today's Fox TV/Movies deal and inking Conde Nast, Hearst, and other magazine publishers to similar deals, it certainly looks like Amazon's readying that light on specs, heavy on content offerings tablet we've been speculating about for months. But they won't be alone in taking that tact when entering the tablet wars. I'm told that this first tablet of theirs is "supposed to be pretty poor" and is a "stopgap" in order to get a tablet out the door for the 2011 holiday season — which doesn't exactly leave the best taste in my mouth. R'uh-roh! Here's hoping that doesn't pan out. I'd love to see Amazon enter the tablet market with a bang, mainly because they'll likely be taking a very different approach than any tablet maker we've yet seen. One that focuses on content and retail tie-ins more than specs and apps (though, of course, they'll likely have a dual-core chip and they've got that app store). Not to mention the intrigue of an Android-based user experience that looks nothing like Android at all, if you believe the leaks. Whatever happens and whatever it looks like, we'll bring it to you! 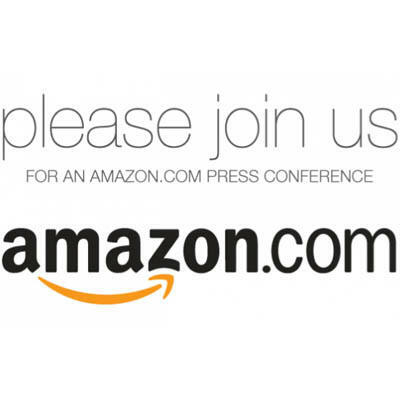 Follow TechnoBuffalo Wednesday for live coverage of the Amazon press conference.